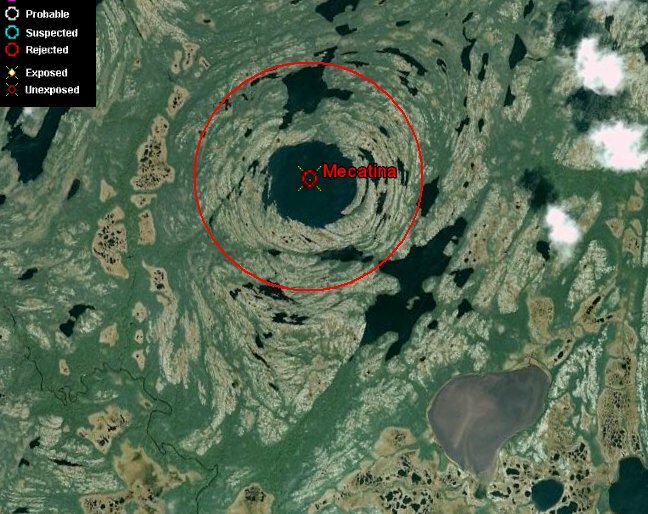 The geological study revealed the Mecatina structure is NOT a meteorite impact crater; rather, it is the result of multiple folding episodes of the bedrock, which is Grenville gneiss, with subsequent erosion and then recent glacial modification. 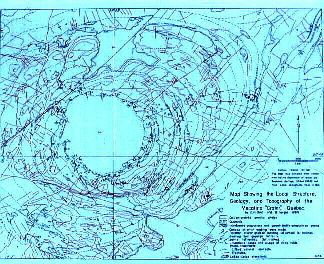 The map shows various bedrock geological features as blue lines and fractures and faults as red lines. cm.